The SNL App is a must-have for any Saturday Night Live fan. Find and watch thousands of sketches spanning the 40-season library, from the most current to the classic. 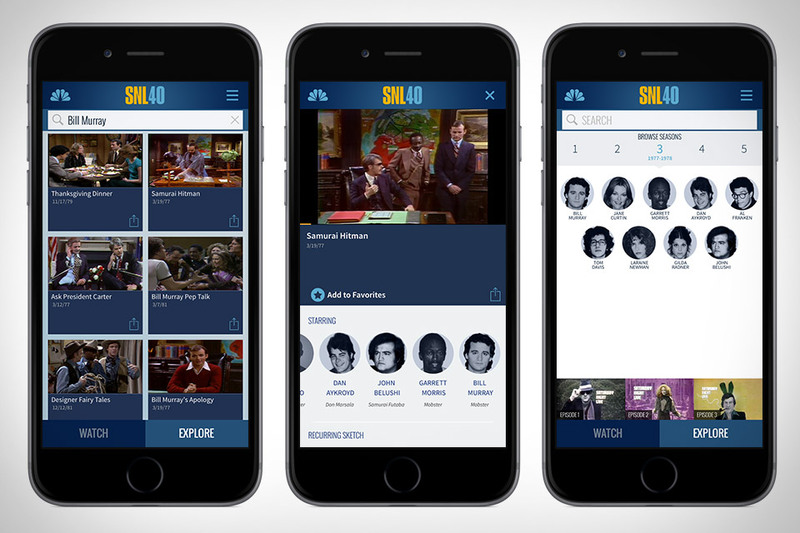 Plus, you’ll get access to never-before-seen clips, an exclusive SNL emoji keyboard and easy access to SNL full episodes on the NBC App. Search thousands of clips or browse by season, episode or cast member to find favorite monologues, commercial parodies, Weekend Update segments and more. Swipe from clip to clip for a seamless, continual viewing experience. The free app features a new video player that allows you to mark favorite sketches and share them via Facebook. Explore and discover new clips with an intuitive recommendation engine. The SNL app includes a free, exclusive emoji keyboard featuring favorites like Drunk Uncle, Matt Foley, Mary Katherine Gallagher, the Coneheads and dozens more!